Fluid is a substance that capable of flowing and has no definite shape but takes shape of containing vessel. Fluid flows under the action of tangential forces/shear stresses, no matter how small the tangential forces are. In case of fluids we consider rate of deformation rather than total deformation because fluid deforms continuously as long as external shear/tangential forces are applied on it. Today we will discuss about fluids properties. Properties of any material or fluid are used to define its state, condition, behavior and distinguish it from others. There are various types of fluids which behave different in different conditions. For example when we take petrol in a open container, it will evaporate suddenly but the kerosene in same container doesn’t. These all behavior of fluid can be described by its’ properties which knowledge is essential to study about fluid mechanics. Mass density is equal to the number of molecules in a unit volume of the fluid. Molecules of every substance have certain mass i.e. more the number of molecules more will be the fluid density. It can also be known as the heaviness of the fluid. Mathematically density is defined as the ratio of mass per unit volume. Its SI units is kg/. Density of fluid increase with increases pressure when we apply pressure then large number of molecules can be forced in a given volume. When temperature of fluid increases then density will decreases. Density of a fluid is defined as the mass of the fluid per unit volume. Mathematically it is defined as the ratio of the mass to the volume of the fluid. It is depends on the mass and size of the atom of the fluid. Fluids have same volume and different mass have different density. Specific gravity is the ratio of specific weight or mass density of fluid to the specific weight or mass density of the standard fluid. In case of liquid standard fluid is water where as in case of gases standard fluid is taken as air. The specific gravity of water at the standard temperature is 1. Specific gravity shows which fluid is heavier or lighter then water. If specific gravity is less than 1 then fluid will consider lighter than water. If it is greater than 1, fluid will be heavier then water. Specific gravity has no units. It is density of a fluid compared to the density of water which is 1000 Kg/m3. It shows the substance is how much heavy compare to water. Mathematically it is defined as the ratio of the density of a fluid to the density of water. If the value of specific gravity is greater than one it means the fluid is heavy compared to water and if that fluid mix with water the fluid remain downside of the mixture. If specific gravity is less than one means the fluid is light and can flow over the water in a mixture. It is a unit less quantity and shown by the S.
Viscosity is defined as the internal resistance offered by one layer of the fluid to the adjacent layer. The main reason of viscosity is molecular cohesive forces in case of liquid and molecular momentum transfer in case of gases. Viscosity basically shows resistance to motion and hence if the viscosity is less than the flow will be easy. Newton law of viscosity– It states that all those fluids are said to be Newtonian fluids in which shear stress is directly proportional to rate of shear strain. Here µ is called as constant of proportionality i.e. coefficient of viscosity or the dynamic viscosity, or simply viscosity of the fluid. Dynamic viscosity can also be defined as the shear stress required producing unit rate of angular deformation. For Newtonian fluid viscosity is constant with respect to deformation and the relation between shear stress and rate of deformation is linear. Units of dynamic viscosity is Pa-s or Ns/m2. Variation of temperature and pressure: Change in temperature affects the viscosity in both the cases i.e. liquid as well as gases. In case of liquids with increase in temperature the viscosity decreases because the main reason of viscosity is case of liquids is molecular bonding and with increase in temperature molecular bonding between molecules breaks dawn and viscosity decreases. In case of gases the main reason of viscosity is molecular collision and due to this with increase in temperature the molecular collision increases and viscosity decreases. Variation of pressure does not affect dynamic viscosity in liquid as well as gases. Kinematic viscosity: The ratio of the dynamic viscosity and the mass density is known as kinematic viscosity. It shows resistance to molecular momentum transfer or molecular collision is case of liquids. Variation of temperature and pressure: With increase in temperature kinematic viscosity is decreases in case of liquids only. It is increases in case of Gas but with a faster rate. Increase in pressure does not affect the dynamic viscosity in case of liquids but In case of gases it decreases. 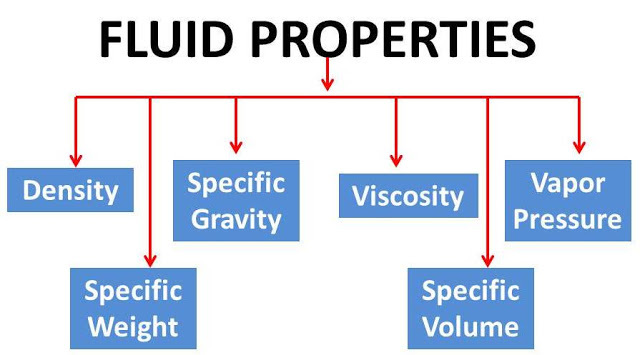 The property of fluid due to which, a fluid layer which is flowing with a velocity U, exerts a resistance force on the other layer known as viscosity. It is a property which offers the resistance force in the flow. A fluid has more viscosity has less flow velocity compare to a fluid has less viscosity. For example oil has more viscosity compared to water. Viscosity of a liquid increases with decreasing in temperature and viscosity of gas increases with increasing in temperature. Where µ is known as dynamic viscosity. The unit of dynamic viscosity is Pa-s or N-s/m2. There are two types of viscosity used in fluid mechanics one is known as dynamic viscosity (µ) and other on is known as kinematic viscosity (ν). The kinematic viscosity is ratio of the dynamic viscosity to the density of the fluid. The SI unit of kinematic viscosity is m2/s. It is defined as the weight of fluid per unit volume. It is the force exerted on the given volume of fluid due to gravity. Its SI units is force per unit volume i.e. N/m3. Density is absolute quantity with respect to location where as specific weight/weight density is a variable quantity with respect to location because it is due to force of gravity. It is defined as weight of fluid per unit volume. Mathematically, it is defined as the ratio of the weight to the volume of the fluid. The SI unit of the specific weight is N/m3. Specific volume of fluid is the volume of fluid per unit weight. It is the reciprocal of weight density. Its SI unit is cubic meter per Newton i.e. . In case of gas flow specific volume is defined as the volume of fluid per unit mass. In this case it is reciprocal of mass density and its SI units are meter cube per kilogram i.e. It is the reciprocal of the density or we can say that it is the volume of the fluid per unit mass. The SI unit of specific volume is m3/Kg. The pressure exerted by the vapour molecules on the liquid surface when both are in phase equilibrium or under saturation condition with each other is known as vapour pressure. For example let us consider a closed container which is partially filled with liquid. The molecules on the surface of the fluid are in highly exited state and by taking energy from the molecules these molecules start evaporates. The air above the liquid is in saturation state. Under saturation state number of molecules leaving the surface of liquid on evaporation becomes equal to the number of molecules fall dawn the surface after condensation.With increases in temperature vapour pressure is also increases. Highly volatile fluids have higher vapour pressure at a given temperature. Mercury has lowest vapour pressure because of its cohesive bonds are strong. That’s why mercury is mostly used in manometers. The pressure exerted by its vapor in phase equilibrium with its liquid at a given temperature is known as vapor pressure. The vapor pressure of the fluid is increased by increasing in temperature. It the liquid pressure drops below its vapor pressure at a given temperature, the liquid starts to evaporate. Petrol have more vapor pressure with respect atmospheric pressure at atmospheric temperature, so it starts to evaporate while water doesn’t. All the molecules on liquid surface experience a net inward pull because of which there is tension in the surface which is known as surface tension. Surface tension is due to cohesion between liquid particles at the surface. The magnitude of surface tension decreases for liquids decreases with increases in temperature. Surface tension are usually seen when fluid comes in contact with air. There is large number of molecules on the surface and all the molecules are under pull and due to these they appears to a membrane over the surface of the fluid which can bear small load of insects, small needles etc. Surface tension is also defined as a line force with forces acting perpendicular to this line in the plane of surface or it is given as force acting per unit length. Its SI unit is N/m. The effect of surface tension is seen in case of a droplet, liquid jet and soap bubble easily. When a liquid droplet separated from the source then liquid droplets takes up the shape of the sphere. Surface tension will try to minimize the surface area where as pressure will resists this. Due to decrease in surface area the pressure inside the droplet is increases and it keeps on increasing until both comes in equilibrium in this manner the droplet assume spherical in shape which is having minimum surface area. Detergents are used while washing clothes to reduce surface tension and break the fluid film so that dirt particles can comes out easily. It is defined as the rise or fall of liquid when a small diameter glass tube is inserted in it. If the molecules of liquid have greater adhesion then cohesion, then it wet the solid surface and result in capillarity rise. Example: water in glass tube. 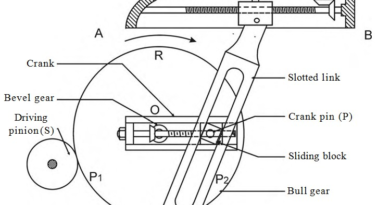 The angle of contact in case of capillarity rise is less than 90 degree. On the other hand if in liquids cohesion predominates then liquid will not wet the solid surface. This results in capillarity falls. Example: mercury in glass tube. The angle of contact in this case is greater than 90 degree. To neglect the effect of capillarity we increase the diameter of the tube because capillarity rise is inversely proportional to diameter of the tube. Today we have discussed about fluids properties. If you have any doubt about these properties, ask by commenting. If you like this article, don’t forget to share it on social networks. Subscribe our website for more informative articles. Thanks for reading it. What is stress and strain?